NARA works in conjunction with agencies to determine which federal records may be disposed of and which must be permanently preserved for access by future generations. It is one of the most important responsibilities of the Archivist of the United States and it lends profound meaning to the mantra, “Good records management is the backbone of open government.” It makes possible transparency and accountability, which is necessary for success in the overall Open Government Initiative. Federal agencies must economically and effectively create and manage records necessary to meet business needs. Federal records must be retained long enough to protect all public rights and assure accountability of all officials for decisions made. Federal records of archival value, including metadata, must be preserved and made available for future generations. The Open Government Initiative and these principles further assist NARA in focusing the federal government’s attention on effectively identifying and addressing the challenges of the electronic records and information management continuum. NARA uses the open government platform to provide guidance to federal agencies in framing and instituting needed governance, oversight, policy, training, and technological platforms to support business needs and make records and information readily available to the public. serving as an ombudsman between agencies and the Archivist of the United States to ensure statutory mandates and records management requirements are met. work with agency records officers to appraise and schedule—either for permanent preservation or eventual destruction—the records each agency creates, to ensure adequate and proper documentation of our government’s actions. NARA will be analyzing new techniques for using the data and information collected from the Senior Agency Official for Records Management (SAORM), Records Management Self-Assessment (RMSA), and other oversight reports to assist agencies in making targeted improvements in their records management programs. In addition, NARA will improve reporting methodologies, and develop future SAORM and RMSA questions to better evaluate records management risk in agencies. Reporting continues to encourage agencies to maintain open dialogue with NARA in an effort to remediate and improve their records management programs. Through inspections NARA investigates overall compliance with federal records management statutes and regulations within federal agencies, the general state of agency records management programs, as well as progress towards the Managing Government Records Directive's (OMB/NARA M-12-18) goals. In 2015, NARA's Oversight Teams inspected the Departments of Treasury, Navy, and Energy, as well as the Internal Revenue Service. NARA issued recommendations requiring these agencies to update and develop policies and practices fostering transparency about how they monitor and ensure records management program compliance. The inspections also recommended greater interaction and accountability between the senior agency officials and records management staff. In Fiscal Year 2016 we are conducting inspections of the Departments of Homeland Security, Veterans Affairs, Interior, and Commerce, and completing the inspection of the Department of the Navy. NARA has also developed a strategic plan for a multi-year project to conduct inspections of the departments and offices within the Department of Defense beginning in Fiscal Year 2017. In addition to DOD, other agencies slated for upcoming inspections include the Departments of Justice, Agriculture, Labor, and Transportation. In order to inform the public and other NARA stakeholders of key data related to improving records management across the federal government, we have published final inspection reports from Fiscal Year 2011 through Fiscal Year 2015 at Archives.gov/records-mgmt/resources/inspections.html. In advance of the administration transition, NARA updated guidance for all federal employees describing their responsibilities for managing federal records. This guidance, “Documenting Your Public Service,” applies to all employees but is particularly intended for those affected by the upcoming administration transition. 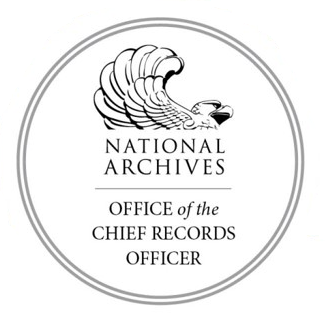 The Office of the Chief Records Officer has developed additional guidance related to the transition, including records management handouts, checklists for onboarding and offboarding officials, and a video briefing from the Archivist of the United States stressing the importance of good records management practices. NARA is working with the Partnership for Public Service to ensure political appointees are aware of their recordkeeping responsibilities. NARA has implemented internal procedures to streamline the posting of records schedules into the repository. Moving forward, NARA will host an open meeting to solicit feedback from the public, agency customers, and other stakeholders on improvements to the website and the functionality of the repository. NARA will also continue to evaluate improvements to the records schedule repository and website. NARA is working to modernize 36 CFR Chapter XII Subchapter B, Records Management regulations. Currently, seven parts have been revised. These regulations have been outpaced by technology and business needs, and have been rewritten to update records management practices for the 21st century. Part 1239, Program Assistance and Inspections. NARA continues work to build an open and collaborative electronic records management community with federal and industry stakeholders. We encourage the public, federal agencies, and other stakeholders to provide comments and suggestions to improve the regulatory framework for records management in the government. The goal is to provide federal agencies with practical approaches to ensuring adequate and proper documentation and preservation of federal electronic records and information.